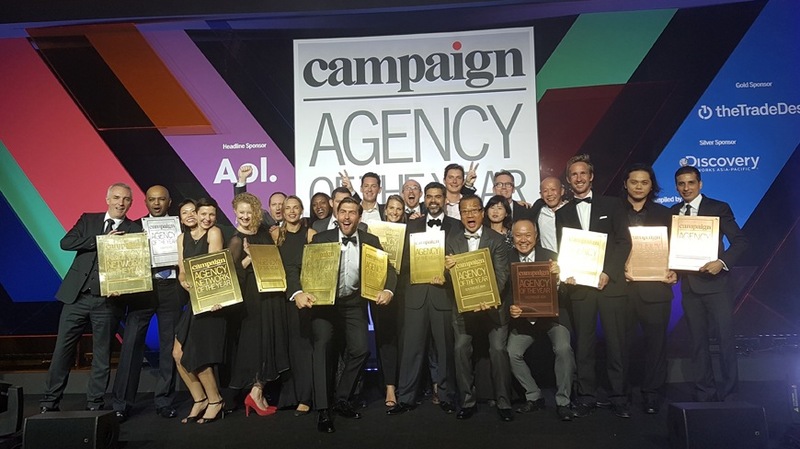 For 23 years, Campaign Asia-Pacific's Agency of the Year awards have recognised inspired leadership, management excellence, outstanding business performance and overall achievements in Asia-Pacific’s advertising and communications industries. The prestigious Agency of the Year competition recognises excellence in local markets through five separate regional competitions. Winners will have the opportunity to compete in the overall Agency Network of the Year awards. This year, Isobar APAC picked up Digital Network of the Year for the fifth time in six years - a huge achievement. Congratulations to the teams. This prize topped a successful awards season for the agency with 18 gongs in total from the Campaign Asia Pacific awards alone. Wins include Gold Integrated Agency of the Year for Isobar China and Gold Digital Agency of the Year for Isobar in Hong Kong, China, India and Malaysia. Isobar in Japan picked up Silver Digital Agency of the year, and the agency was awarded bronze titles in Australia, Korea and Singapore. Chris Chen, CEO & Executive Creative Director of Trio Isobar, won Greater China Agency Head of the Year and the Dentsu Isobar won New Business Development team of the year. Runners up prizes went to: Isobar Shanghai for Greater China New Business Team of the Year, April Chang from Trio Isobar for Greater China Strategic Planner of the Year, and Eva Lin, also from Trio Isobar for Greater China Channel Planner of the Year. Hiroyuki Emoto, won runner-up Account Person of the year, and Masashi Imahashi won runner-up Planner of the year, both from Dentsu Isobar.